8.Max Printing Diameter： Round：100mm, Oval： Width:260mm. Business Description: HC Printing Machinery Factory Ltd www.hc-printing-machine.com supply screen printer, hot stamping machine, heat press, pad printer and heat transfer machine. 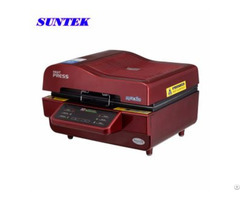 We make printing machine, printing accessories and consumable, screen printer, pad printer, heat press machine, hot stamping machine, sublimation machine, screen printing machine, spider machine, heat transfer machine, flame treatment, UV curing machine, UV dryer, exposure units, UV drying machine, flash unit, far infrared tunnel dryer, tighten silk machine, screen plate drying closet, tension meter, spray gun, screen stretcher, printing ink, plate making machine, inks and consumables material. Our printing machine is widely print on electronic, toy, plastic, paper, clothing, T shirt, cap, CD, PCB, LCD, LED, mug, plate, glass, ceramic, cosmetic, pen, bottle, packing, gift and promotional industry. With 13 years of printing experience, we can help you make the word more colorful.